"....Always respect people who respect our home and property. Thank you guys. You're the best. "Clearly" the best"
"Outstanding and very professional. Also very nice"
"They did terrific job cleaning all the windows inside and out. Even the screens were so clean you barely could see them. They also powerwashed the house thoroughly. Although I had asked them to clean the gutters, they told me that it wasn't necessary. I appreciate the honesty." "The vinyl was very dirty and the north side had lots of mold, mildew, and crud on it. I tried power washing several years ago and I couldn't get the crud off. Siding looks like brand new. My wife and I are so very pleased. When our house is dirty & yucky again we will definitely call Superior. These are really nice (and polite) guys with cheerful attitudes and great work ethics." "They showed up on time and did a very good job. They were very professional, and their rates were quite reasonable." Window cleaning is our obsession! No other company in the St. Joseph or Kansas City area can clean windows like Superior. We offer a variety of packages to cater to your needs. Don’t let dirty windows darken your day, get an FREE ESTIMATE right now! A dirty house isn’t just an eyesore. The mold and mildew on the side of your home can cause health problems for you and your family. Let Superior provide our low pressure wash service at your home. Get your home’s curb appeal back! Schedule your FREE Estimate today! Over time many roofs in the St. Joseph & Kansas City area start to accumulate black patches and streaks that make them look as if they are dirty. This leads many homeowners to consider replacing their roof. But replacing a roof is an expensive proposition, before you spend thousands of dollars let us give you a Free Estimate. Superior Professional Window Cleaning LLC is a family owned and operated business started in 2008 by father and son, David and Kyle Stafford. Offering Window Cleaning, Low Pressure House Washing, Pressure Washing and other services, we strive for high quality service, and customer satisfaction in all that we do. Our goal is to build a quality service company, one customer at a time. Thank you for visiting us today! Superior Professional Window Cleaning LLC. 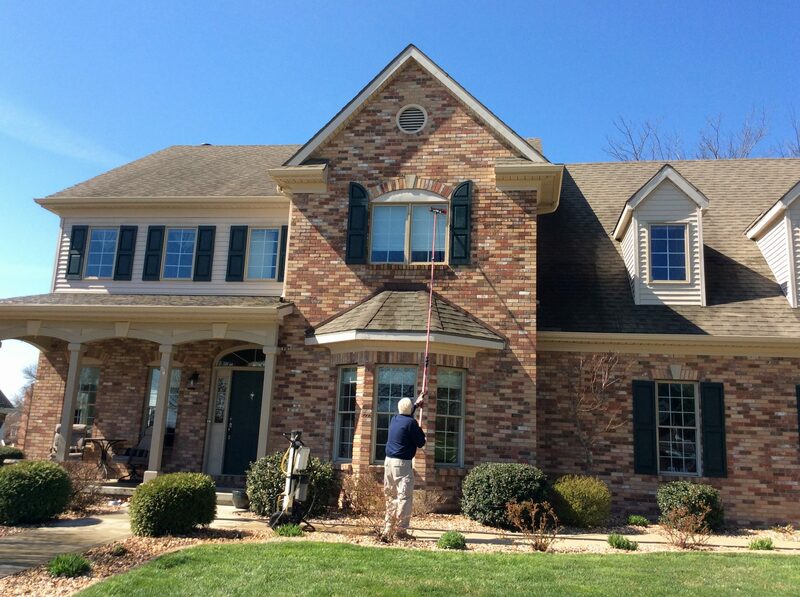 Why Choose Superior Window Cleaning?